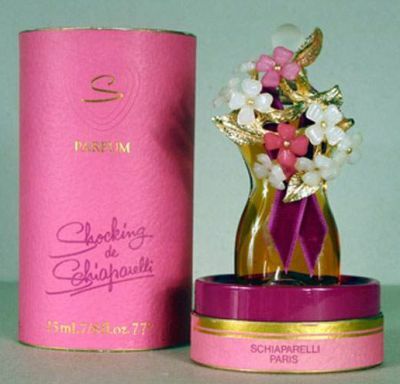 The scent is "Shocking de Schiaparelli" which was created by Elsa Schiaparelli in 1936. 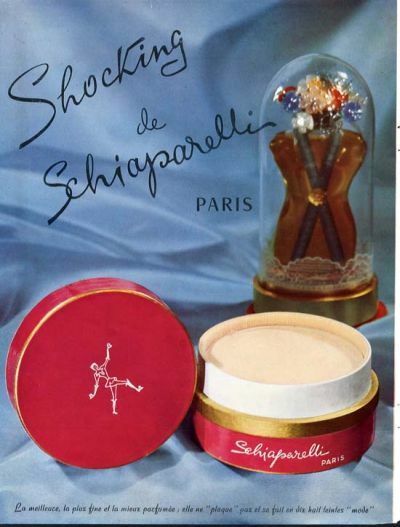 Shocking pink (hot pink or fuchsia) was Elsa Schiaparelli's signature color. It has been described by various people in various ways. Elsa called it: "life-giving, like all the light and the birds and the fish in the world put together, a color of China and Peru but not of the West." 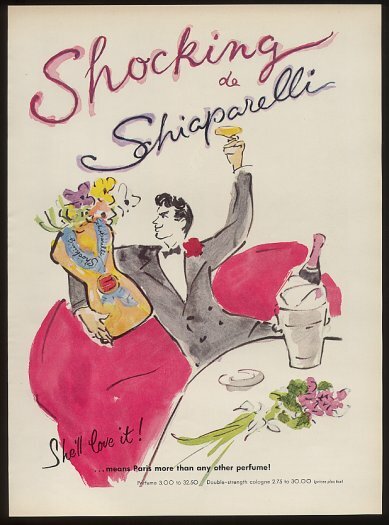 Yves Saint Laurent said it had: "the nerve of red...an aggressive, brawling, warrior pink." French lingerie shops call it: "Le shocking". She called her autobiography: "Shocking Life". 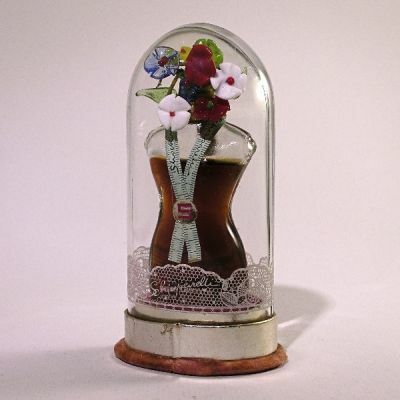 And her most famous perfume: "Shocking" was packaged in a bottle modeled after Mae West's voluptuous figure.